Playgrounds.net Blog: Why Do You Need a Residential Playground? I want you to think back when you were a kid. What did you enjoy doing outside? I know I loved to swing. When I was younger I had a swing set, a play set, and a play house in my yard. I absolutely loved being on all three! I think it is important to have some sort of play equipment outside for your children because children are spending less and less time outside. With the increases in technology, kids have games always within reach. And while a little game playing does not do much harm, it is still important for kids to get outside and be active. 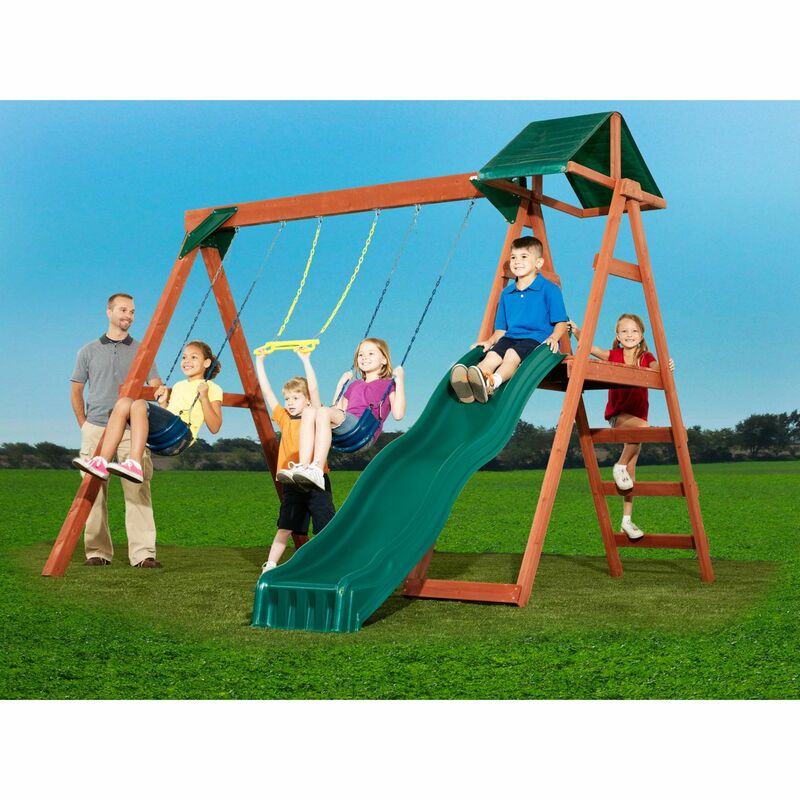 We have a lot of residential equipment to choose from that will excite kids into actually wanting to be outside! From play sets to swing sets, and play houses to picnic tables, we have everything you would need to create an outdoor oasis for your kids! I look at the equipment available today and I some times wonder why it couldn't have been that awesome when I was a kid! I still had a lot of fun on my old equipment, but some of the new stuff looks incredible! Now that I have outgrown my play sets, my parents chose to give it to a friend for his daughter to play on. I am sad to see my old equipment go, however I am glad that I get to share it with someone else! Our most basic play set still provides hours of fun!